There are 10 main common signs of a heart attack before you experience the life threatening issue. These symptoms are very serious and should not be taken lightly at all. A cardiac arrest, commonly known as a heart attack happens when the heart stops working. The most common cause of a heart attack is blocked arteries that are unable to facilitate blood circulation. This blockage of arteries happens due to fatty and calcified plaque build-up. The blocked arteries lead to sudden formation of blood clot which causes heart attack. Another major factor is the genetic build up. This can be identified from the family history of heart attacks. The heart is responsible for circulating clean blood with oxygen in it to different parts of the body and removes the impure blood with carbon dioxide in it. When the arteries of the heart begin building plaque, the heart is unable to provide enough oxygen to different parts of the body, including the lungs. This causes shortness of breath with even little physical exertion. The breathing improves when the physical exertion is stopped. Due to the narrowing of the arteries, the heart is unable to supply sufficient amount of blood to different parts of the body. The cells and tissues of the body require oxygen and nutrients to be able to function in a normal manner. When they do not receive the oxygen and the energy it carries along with it, they start tiring. A common symptom if interrupted or poor blood circulation is hence constant fatigue. The fatigue is not temporary and does not seem to improve. If every day activities become tiresome for more than a week, it is important to visit a doctor. Being tired all the time could be a symptom of heart failure. When the brain does not receive the sufficient quantity of blood it starts losing control of the bodily activities. Our brain requires a lot of blood to keep it nourished and functioning normal. But the blocked arteries can reduce the amount of blood reaching the brain. Breaking out into cold sweats is also a symptom of heart problems. When the brain does not receive sufficient blood, it can lead to sudden sweating. These cold sweats are sudden and can occur even when one is in a resting position. The sweating is such that it feels as if the person has just completed his workout . When the artery blockage increases, the cells and tissues of the body stop receiving the nutrients required for them to function. This slowly leads to unexplained weakness. Despite a person eating well, they are unable to receive the nutrition from their food. This weakness begins building up over the weeks leading to a heart attack. Most people tend to ignore this but it is in fact a major symptom of a heart attack which is on its way. Another common symptom of an approaching heart attack is irregular pulse. Also referred to as Arrhythmia, rapid or irregular pulse can be caused by various reasons. Even healthy heart can display arrhythmia. However, it is necessary to pay attention such symptom as it is a good indicator of heart functioning not being normal. A heart with blocked arteries has to work excessively hard to provide blood to different parts of the body. The forceful functioning of the heart can lead to the pain spreading in the arteries and other muscles of the body. Hence most people who have had a heart attack have experienced a pain in the chest. Sometimes the pain is relieved by itself making people not so serious about it. The chest pain can also spread to other parts of upper body such as arms, neck, shoulders, back and hands. When a heart does not function properly, it can lead to fluid accumulation in different parts of the body. This fluid accumulation is generally found to happen in the lower parts of the body which are far from heart and hence do not receive proper blood circulation in time. Swelling in legs, around ankles, abdomen and the feet are clear symptoms of a probable heart disease or attack. This swelling can also be accompanied by weight gain and loss of appetite. Since indigestion is an extremely common problem, many people never think that it can be related to a problem with the heart. Due to inadequate blood supply to the stomach during heart issues, the stomach is unable to digest the food that is consumed which leads to indigestion. Indigestion along with swelling in the abdomen is the most commonly observed symptom in heart patients. Indigestion should hence be consulted with doctor. Again a commonly occurring symptom to a number of problems, cough is also a symptom for heart disorder. In case of a heart failure, the cough becomes persistent and is accompanied by wheezing. This happens due to fluid accumulation in the lungs. Sometimes the cough is also accompanied by bloody phlegm. Heart patients have also reported feeling overly anxious for no obvious reason before experiencing a heart attack. There are feelings of distraction and lack of focus due to the discomfort. There are also experiences of feeling doomed and those of fear. 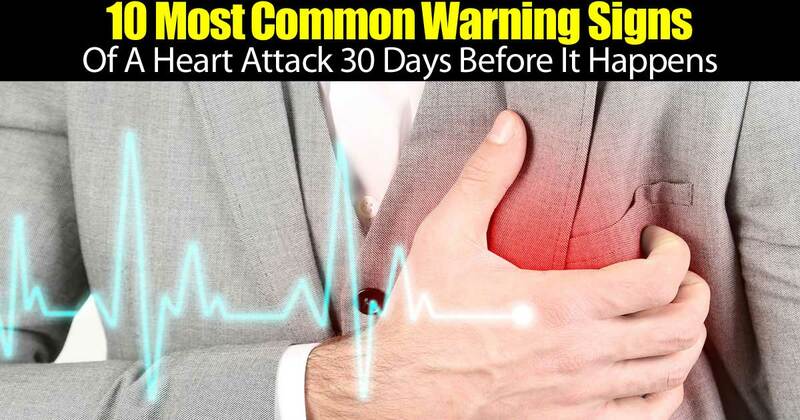 While there is no 100% accurate way of predicting whether an individual can experience heart attack, there are symptoms that can raise the alarm and make one alert. Knowing these common symptoms makes one aware of the impeding danger. Consulting a doctor in time can help avoid the attack or minimize its effect so that the results are not fatal.